ANA - Aeroportos de Portugal Portugal informs all its passengers and other airport users that air traffic may be affected by a strike called for tomorrow, August 15, by the employees of ground handling services, Groundforce. We therefore recommend that all passengers check their flights with the airline, local representative or travel agent, before heading to the airport. We also recommend that passengers arrive at the airport earlier than usual. 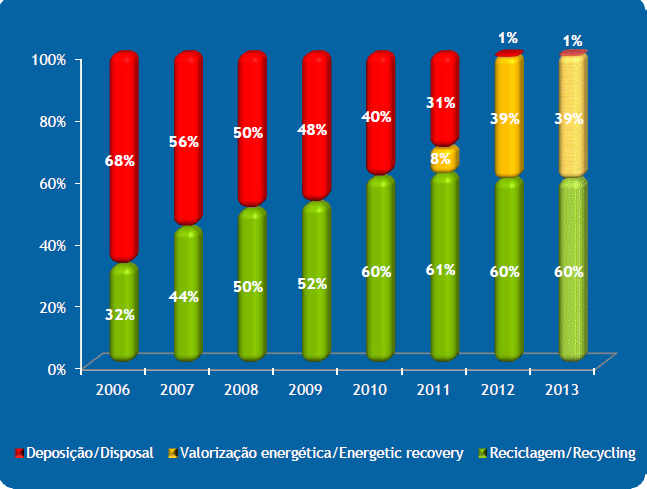 Porto Airport has once again achieved, in the first semester of 2013, a very important goal in its environment performance – 60% of produced waste has been recycled. This development leads Porto Airport to be among the best worldwide in such important matter, and is the result of all participants effort. We expect to pursue registering a high percentage of recycled waste, in order to contribute for the improvement of our airport environment performance. Additionally, and as a result of an effective waste collection, since 2011unsorted waste has been accepted to energy recovery in cement industries as waste derived fuel, so that Porto Airport manages to value and divert from landfill almost 100% of produced waste. As we are aware that this is the most desirable moment of the year for a great part of our emigrants, Porto Airport, for the 8th year in a row, has decided to welcome them warmly and with arms wide open! Return home, visit relatives and friends and enjoy a well deserved rest is the dream of those who arrive, and Porto Airport is part of this return. This year, from the 2nd to the 4th August, between 9am and 20pm, our agenda was fulfilled with regional music and dances, regional wines and food tasting, in a decorated area with handicraft products from the regions of Minho, Douro Litoral, Trás-os-Montes, Alto Douro and Galiza. We are convinced that the environment recreated, in the luggage claim area, not only will delighted the hearts of those who returned, but were also an excellent visiting card to all who arrived aiming to discover the region. A new 2,000 square metre commercial area, with 20 new stores from major international retail chains, has been opened on July 17th, in the restricted departure areas of Lisbon Airport. This expansion represents a hundred new jobs and an estimated sales turnover of 15 million euros per year. Restricted to passengers with boarding cards, this new retail area includes the following stores: Accessorize, Desigual, Dreams Gourmet, FNAC, Geox, Hediard (the retailer’s first store in Portugal), Imaginarium, L’Occitane, Pandora, Springfield, Starbucks, Sunglass Hut, Swarovski, Swatch, Tumi, Victoria’s Secret (the retailer’s first store in the Iberian Peninsula) and Women’ Secret. Passengers departing from Terminal 1 will now be offered a wider range of fashion and accessories, jewellery, books, toys, perfumery, cosmetics and gourmet groceries, as well as a café. Lisbon Airport has thus increased its area dedicated to specialist retail by 80%. With this new space, wherein architecture and interior design enhance the organisation of the products, the modern lines and the presence of natural light, Lisbon Airport now offers a new look and a new centrality. The expansion of the commercial area in Lisbon Airport results from a series of innovations that bear witness to the dynamic spirit of ANA - Aeroportos de Portugal in the on-going modernisation of its retail areas. In 2008 the number of restaurants and bars increased; in 2012 several luxury brands were introduced, including Ermenegildo Zegna, Burberry and Montblanc; in that year, the Just for Travelers - Duty Free Shop was converted to the walk-through format, the first of this type in Portugal; and the Portfolio store was also created in 2012. This store specialises in the promotion of brands, products and experiences that represent the best that is produced in Portugal. Increased capacity to handle in-transit passengers and extended baggage system. Commercial area expanded with 20 new shops opening. The new International and Transit Terminal at Lisbon Airport has opened on 17 July. This Terminal represents an important step towards the conclusion of the Lisbon Airport Development Plan, which was launched in 2007 with the opening of Terminal 2. Fulfilling its mission - to manage Lisbon Airport in an efficient and innovative way with a view to optimising its capacity and ensuring a sustainable business growth - ANA-Aeroportos de Portugal, SA is implementing an ambitious expansion plan that was first launched about six years ago, involving a total investment of more than 350 million euros. Its main objective is to increase the capacity of the airport, so as to better serve all its customers, whether airline companies or passengers. The change in the operating paradigm for TAP, from the former point-to-point based traffic, to transfer traffic, associated with its continuous growth, has determined the need for deep structural changes in the airport in order to accommodate what is now one of its main traffic segments, as well as one of its most important levers of growth. All these changes have been taking place within the scope of a phased program, growth in traffic, particularly transfer traffic, being accommodated through the use of temporary solutions. The opening of the new International and Transit Terminal is a key element of the ongoing development plan, insofar as it corresponds to the construction of areas that are required for the processing of transfer passengers and the expansion of the baggage system, in line with the capacity of the Airport’s various subsystems, already expanded during previous stages of the Development Plan. With the completion of this Terminal, new passport control areas will be opened for both arrivals and departures, as well as a new security screening area for transfer passengers, new arrival gates for passengers from aircraft parked in remote stands, new commercial and leisure areas, extension of the baggage claim hall and of the baggage handling system for departures, arrivals and transit passengers. All these developments have led to significant improvements in the quality of the service, reductions in waiting times, increased efficiency and capacity to accommodate irregular situations within acceptable service limits, which was previously not the case, given that the airport was operating at the limit of its installed capacity, using temporary solutions. Processing capacity of the Immigration and Border Control Service will increase from the current 16 desks (conventional and electronic) for departures, to 30 control desks (conventional and electronic). For arrivals, the number of passport control desks will increase from 21 to 30. Associated with the completion of the new International and Transit Terminal, a new commercial and leisure area has been created, offering passengers a wider range of stores and services, as well as better waiting and circulation conditions. Finally, the freeing of the area now provisionally occupied by the security control of transfer passengers will allow the area for security control of local passengers to be enlarged during a subsequent stage of the Plan, thus reducing waiting times. The opening of this new area and the full completion of all the interventions associated with the Development Plan will bring huge improvements for Lisbon Airport in terms of the quality of the service provided to passengers and airline companies and will enable it to initially increase its declared capacity to 40 slots per hour, later increasing to 42 slots per hour. This represents an increase almost 25% on its capacity before the start of the Plan, which was 34 slots per hour. choice. In that same year, the new cargo complex and new parking aprons next to Terminal 2 began to operate, increasing the number of parking stands from 51 to 64, following the construction of new stands. In 2009, 10 new boarding gates with boarding bridges were opened and the commercial facilities of the Non-Schengen area were expanded. The car rental facilities were also subsequently enlarged. In 2012, a new retail area opened with a walk-through store and 7 new top-end stores. The second half of 2012 was also marked by the opening of the Lisbon Metro station at the Airport, new bus and coach stops and the Portfolio store. The conclusion of the Development Plan will bring Lisbon Airport closer to its vision of being the major European hub for Brazil and a central platform for connections between Europe and Africa, complemented by an increase in new segments of air services to revitalise economic activity, ensuring quality levels in line with the European average. - Expansion of passenger and baggage areas in the terminal from 230,000 m2 to 406,000 m2, increase and improvement of the area for passenger transported by bus from aircraft parked on remote stands and enlargement and improvement of areas and facilities for transfer passengers, particularly passenger and hand luggage security control for passengers on connecting flights. - Enlargement and improvement of border controls from 13 to 24 electronic control lanes; from 24 to 36 manual border control desks; installation of new technology at the border control for a 50% improvement in processing time. - Expansion of the baggage claim hall with the installation of 5 additional conveyors to deliver baggage. - A new 2,000 square metre commercial area, with 20 new major international retail chain stores. ANA - Aeroportos de Portugal informs all passengers and other airport users that air traffic may be affected by the general strike called for this Thursday, June 27th. We recommend you confirm your flights with the airline, local representative or travel agent, before heading to the airport. 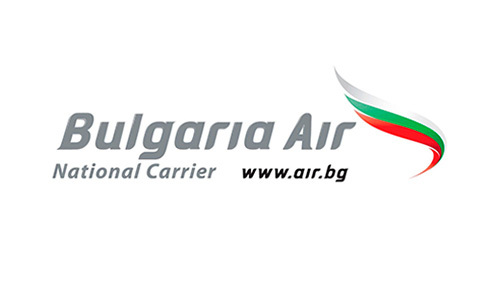 We would like to inform all our clients that the Portuguese Civil Aviation Authority (INAC), on 27 May, according to the Decree Law 254/2012, 28th November, approved ANA regulated charges proposal to be in force from 1st June 2013. ANA has formally launched, on the 8th February 2013, the charges consultation procedure to Users. The press release from INAC I.P. is available on its website. This consultation procedure was the first developed under the new economic regulatory model. ANA is pleased with the engagement demonstrated by Users and their representatives and Associations and wishes to strengthen the importance of building up an open and constructive dialogue with its Clients regarding economic regulation. In a particularly adverse economic context, the results achieved by ANA at the close of 2012 confirm the robustness of the Group and reflect the resilience of its cash-flows and the solid financial position it has achieved. The results further confirm the accuracy of the valuation attained in a demanding and competitive privatisation process that attracted some of the world’s largest players and culminated in December 2012 with the choice of Vinci Concessions S.A.S. for the acquisition of the shares of ANA, SA. In 2012, the ANA Group served 30.5 million passengers, 1.4% more than in the previous year. The recurrent EBITDA (*) generated was 209.6 million euros, which compares with 195.3 million euros in 2011 (+7.4%) and the net profit registered was 53 million euros, representing a drop of 23.5 million euros from the 2011 figure. ANA, SA (the parent company) adopted the international financial reporting standards for service concessions arrangements (IFRIC12) for the first time in 2012 further to the signature of the Concession Agreement with the Portuguese State on the 14th of December, 2012. This first implementation has led to further provision previous years' commitments relative to heavy maintenance works, entailing a one-off negative impact on the net profit with no cash effect. Disregarding this negative impact, a net profit of 82.4 million euros (+7.7%) would have been registered. The positive change noted in passenger traffic owes much to the trends recorded at the airports of Lisbon (+3.5%), Faro (+1.0%) and Porto (+0.8%), with international traffic growing in importance. On the other side of the ledger are the airports of the Azores and Madeira, which recorded drops of 5.9% and 4.6%, respectively, these airports being, by nature, more dependent on domestic demand, which was also affected by the economic downturn. This growth was accompanied by an increase of 1.2 percentage points in the aircraft load factor, which reached an good average of 77%, whilst the number of aircraft movements registered an overall decrease of 1.6%. This traffic behaviour was common to all the airports of the network, with the exception of the Lisbon airport, which had an increase of 1% in the number of aircraft movements. 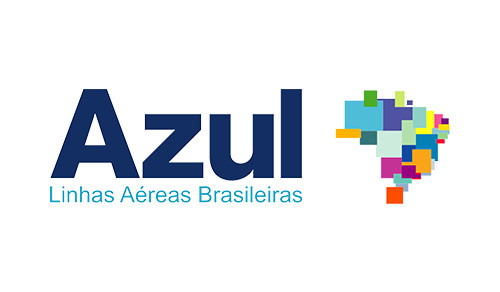 The parent company, ANA, SA, is a determinant factor in the Group, due to its relative weight in terms of assets and activity, making it the main source of the results obtained. It is important to note that the signing of the concession agreement between ANA, S.A. and the Portuguese State on 14 December 2012 meant ANA, SA was led to adopt the international financial reporting standards for Service Concession Arrangements (IFRIC 12). Group turnover (not including the amount related to construction services - IFRIC 12) reached 428.7 million euros, about 1% higher than that of the previous year. EBITDA for the Group, also not taking into account the impact of IFRIC 12, was 203.3 million euros, slightly under the 2011 figure (-0.7%). The recurrent EBITDA associated with normal operation, however, rose by 7.4% in relation to the 2011 base, reaching the amount of 209.6 million euros. The net profit of the Group, heavily influenced by ANA, SA adoption of IFRIC 12 for the first time, was 53 million euros, representing a 30.7% reduction in relation to the previous year. This is only an apparent reduction, however, because on a comparable basis with 2011, Group net profit would be 82.4 million euros 7.7% higher than the previous year. In 2012 the investments made by the Group came to 61 million euros, applied mainly to the expansion and improvement of the infrastructures in order to accommodate the traffic demands and increase the perception of quality by the passengers served in the airports of the network. About half of that amount was applied in Lisbon airport, mainly used for its expansion plan scheduled to be concluded in 2013. The main goal of the expansion plan is to endow Lisbon airport with the capacity to handle 40 aircraft operations and 4,320 passengers per hour, compared to the present declared capacity of 38 movements and 3,200 passengers per hour. The ANA Group showed moderate financial leveraging at the end of 2012, with a D/E ratio of 1.6, and 1.0 for ANA, SA. The Group’s net indebtedness amounting to 581.3 million euros decreased by about 10% in relation to 2011. In March 2012 all eight airports managed by ANA renewed Airport Carbon Accreditation at level 1 ‘Mapping’. Airport Carbon Accreditation is an ACI EUROPE endorsed programme for managing carbon emissions in European airports. It is used to evaluate and recognise the efforts made by airports to manage and reduce their carbon emissions. There are four levels of certification: ‘Mapping’, ‘Reduction’, ‘Optimisation’ and ‘Neutrality’. 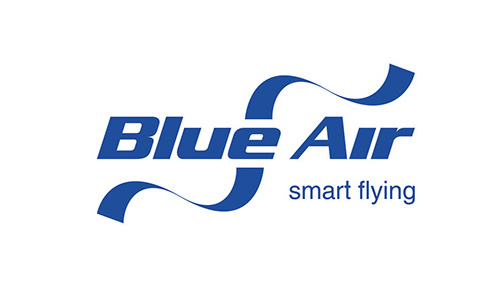 In November 2011 the programme was extended to ACI Asia-Pacific member airports. 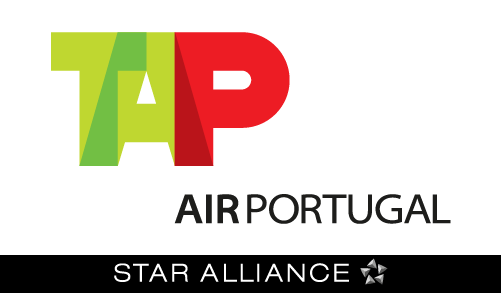 Level 1 ‘Mapping’ means that ANA has implemented a strategy to map all the sources of CO2 emissions under its direct responsibility at Lisbon, Porto, Faro, Beja, Ponta Delgada, Horta, Santa Maria and Flores airports, with 2011 as the base year. 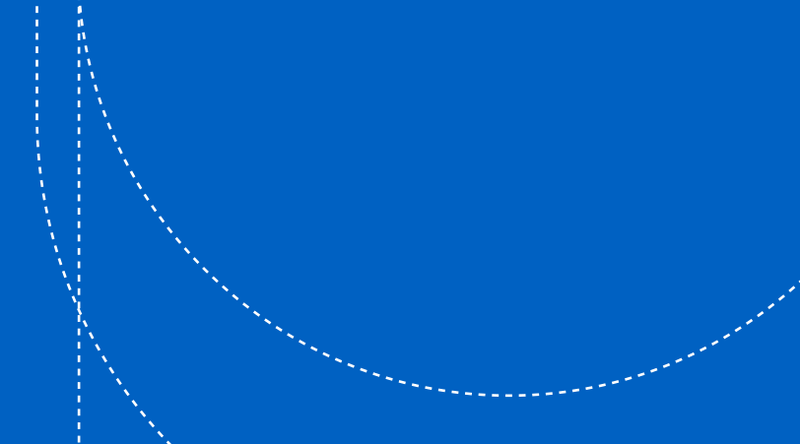 The resulting carbon footprint is independently verified, lending credibility to ANA’s self declared emission levels. Additionally, accreditation is only obtained if reducing the company’s carbon footprint is a commitment made by top level management and publicly proclaimed. ACI EUROPE’s latest figures show 74 accredited airports, covering over half of Europe’s total passengers. 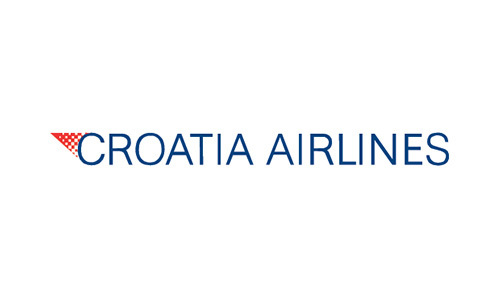 Between 2010 and 2012, Airport Carbon Accreditation reported reductions of over 1.000.000 tonnes of CO2 emissions obtained within the scope of the programme. ANA intends to maintain its current accreditation level, while implementing a plan of voluntary carbon management and energy efficiency, with the ultimate goal of progressively reducing its carbon footprint. In March, air freight and mail processed at the airports of the ANA group has decreased by 7.8% (- 883 tons) when compared to the same period of 2012. In annual terms, there was a decrease of approximately 1589 tons (-4.8%). In the course of the month, loaded freight has decreased by 7.2% (-437 tons), unloaded freight dropped by 10.4%, and in transit freight rose by 5.8% (+42 tons). As far as individual airports are concerned, the decrease in air freight at Lisbon Airport (-6.1%), in spite of a rise in traffic with Brazil and Dubai, can be credited to the drop in traffic with the Portuguese Islands, Europe and Angola. Porto Airport exhibits the biggest decrease (-12.8%) what is mainly due to the drop in integrator traffic, where a decrease of 281 tons was registered. Air freight evolution in the airports operated by ANA in the Autonomous Regions of Azores and Madeira has also shown a decrease trend, the exception being airports benefiting from in-transit freight, such as Santa Maria, where the 497% rise is due to the increase of in-transit air freight from other regions of the world (+1892%), given that local freight processed at this airport has also decreased (-11.9%). In terms of flight type, freight moved in express cargo aircraft has decreased 13.5%, while that transported in passenger aircraft has risen 1.4% and in other cargo aircraft (mostly charter flights) has dropped by 46.9%. As for markets, in February, the airports of the ANA group have served 112 regular air freight destinations. In terms of individual countries, The United Arab Emirates (+436 tons), the USA (+60 tons) and Brazil (+51 tons) should be mentioned as those exhibiting the biggest rises in traffic. On the decrease side of the scale, the German market (-546 tons), internal traffic - with the Portuguese Islands, in particular - (-322 tons) and the Angolan Market (exhibiting a decreasing trend since last December) with a drop of - 156 tons, are of note. As regards Airlines, those that exhibit the biggest increases are those that only began to operate their scheduled services at a date later in time than the month that was used as a comparison basis (Mar-12, with Emirates processing +436 tons and West Air Europe (air freight operation to Madeira) +394 tons. 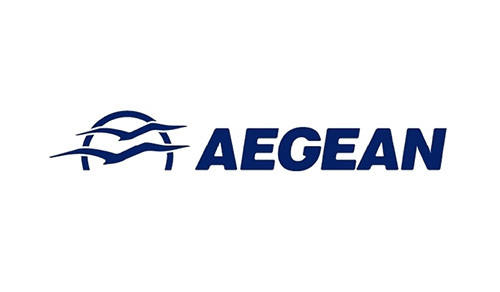 Agroar was the airline credited with the biggest decline in traffic, given that it is not currently operating (it operated freight routes last year with Madeira and Nouakchott, in Mauritania), followed by Star Air, an operator for UPS, with a decrease of 331 tons. Airlines operating European routes (Euro zone) in general were also affected by a decline in traffic, as illustrated above. Regarding air freight trucking, 2.9 thousand tons (+0.2 tons) were processed, what represents a year on year percentage change of 7.8%. In March, the airports of the ANA group have thus processed 15.1thousand tons of air freight and mail, for an aggregated total of 42,1thousand tons (air freight trucking considered for both totals).